it population is 8.6 million people, it is second largest city in Europe and the largest in the European Union. It forms "Greater London" agglomeration and more extensive a metropolitan. The main political, economic and cultural center of the UK. The city's economy is the fifth part of the country's economy. It refers to the global cities of the highest rank, the world's leading financial centers. 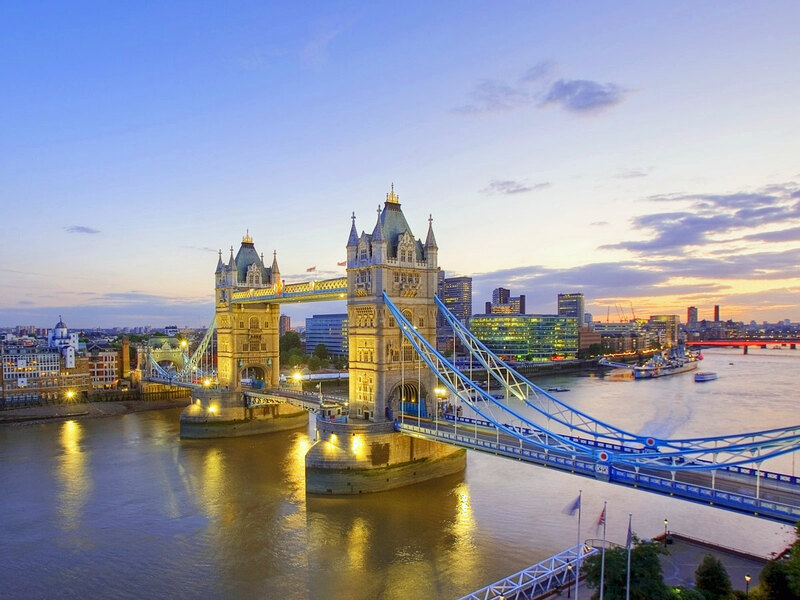 Standing on the River Thames, London has been a major settlement for two millennia, its history going back to its founding by the Romans, who named it Londinium. London's ancient core, the City of London, largely retains its 1.12 square-mile (2.9 km2) medieval boundaries and in 2011 had a resident population of 7,375 making it the smallest city in England. Since at least the 19th century, the term London has also referred to the metropolis developed around this core. The bulk of this conurbation forms Greater London, a region of England governed by the Mayor of London and the London Assembly. The conurbation also covers two English counties, the City of London and the county of Greater London, though historically it was split between the City, Middlesex, Essex, Surrey, Kent and Hertfordshire. commerce, healthcare, media, professional services, research and development, tourism, and transport all contributing to its prominence. It is one of the world's leading financial centres and has the fifth-or sixth-largest metropolitan area GDP in the world depending on measurement. ondon is a world cultural capital. It is the world's most-visited city as measured by international arrivals and has the world's largest city airport system measured by passenger traffic. 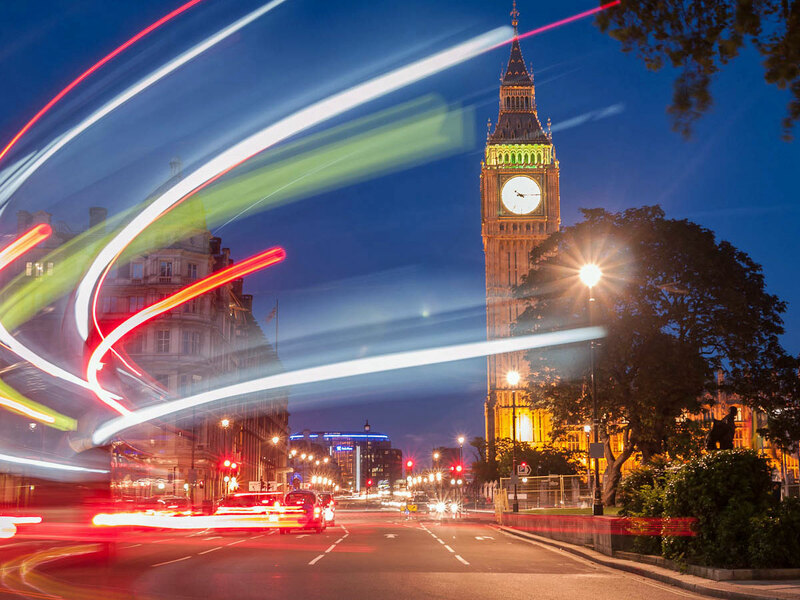 London is the world's leading investment destination, hosting more international retailers and ultra high-net-worth individuals than any other city. 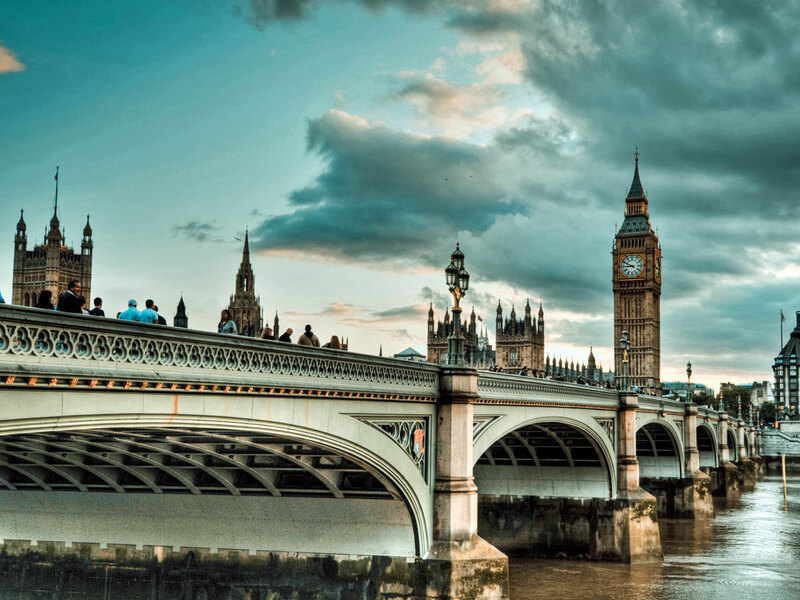 London's 43 universities form the largest concentration of higher education institutes in Europe. 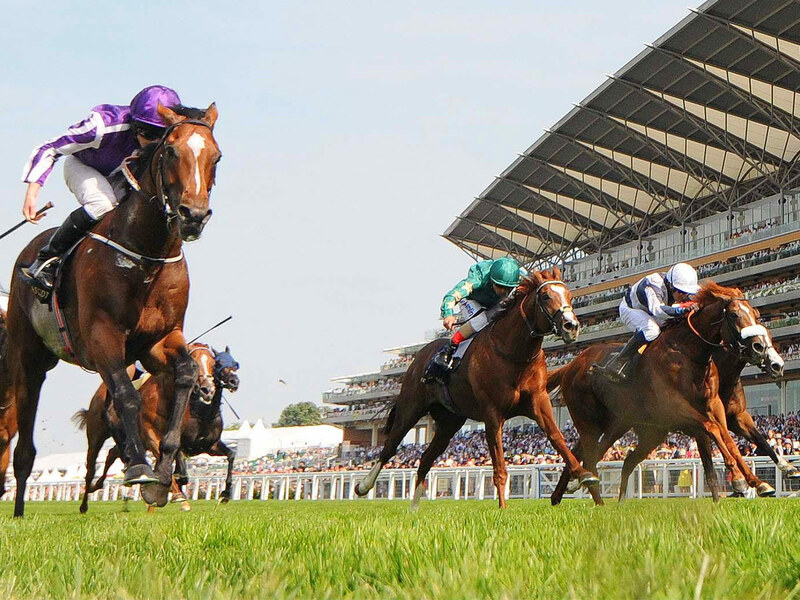 In 2012, London became the first city to host the modern Summer Olympic Games three times. London contains four World Heritage Sites: the Tower of London; Kew Gardens; the site comprising the Palace of Westminster, Westminster Abbey, and St Margaret's Church; and the historic settlement of Greenwich (in which the Royal Observatory, Greenwich marks the Prime Meridian, 0° longitude, and GMT). 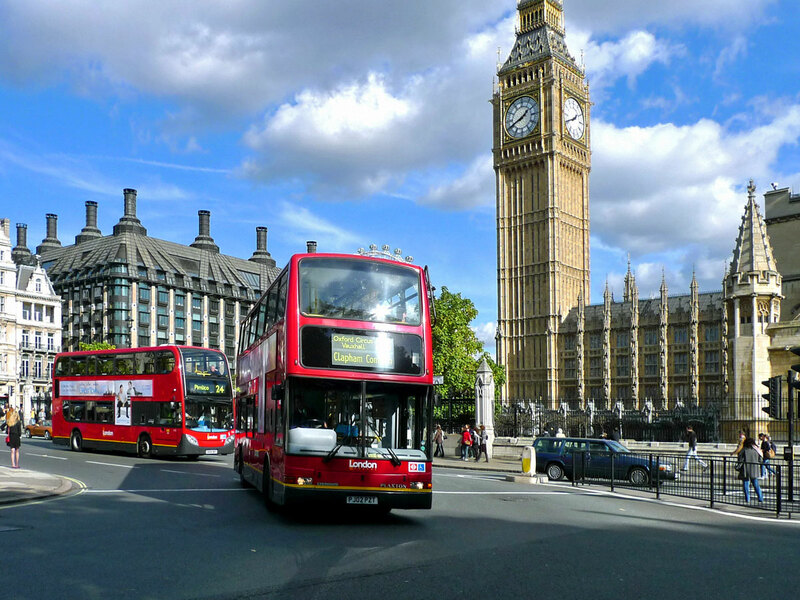 Other famous landmarks include Buckingham Palace, the London Eye, Piccadilly Circus, St Paul's Cathedral, Tower Bridge, Trafalgar Square, and The Shard. 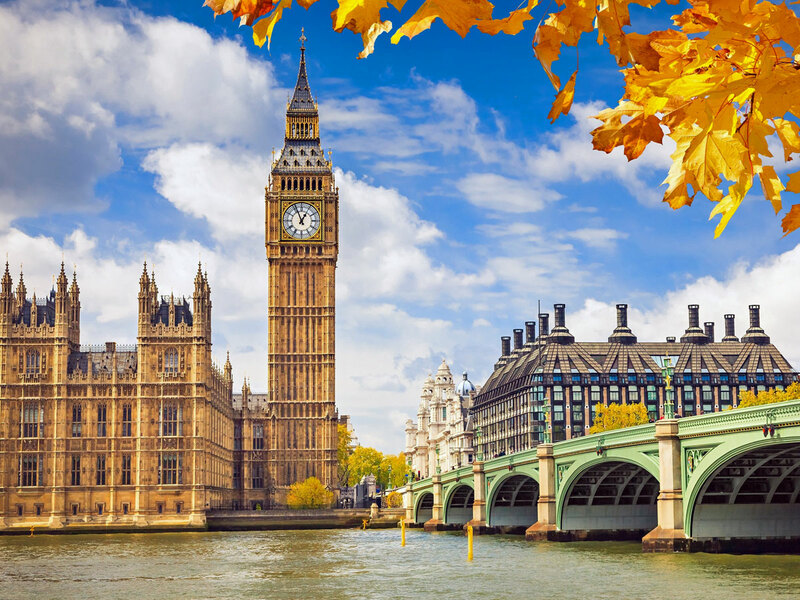 London is home to numerous museums, galleries, libraries, sporting events and other cultural institutions, including the British Museum, National Gallery, Tate Modern, British Library and 40 West End theatres. 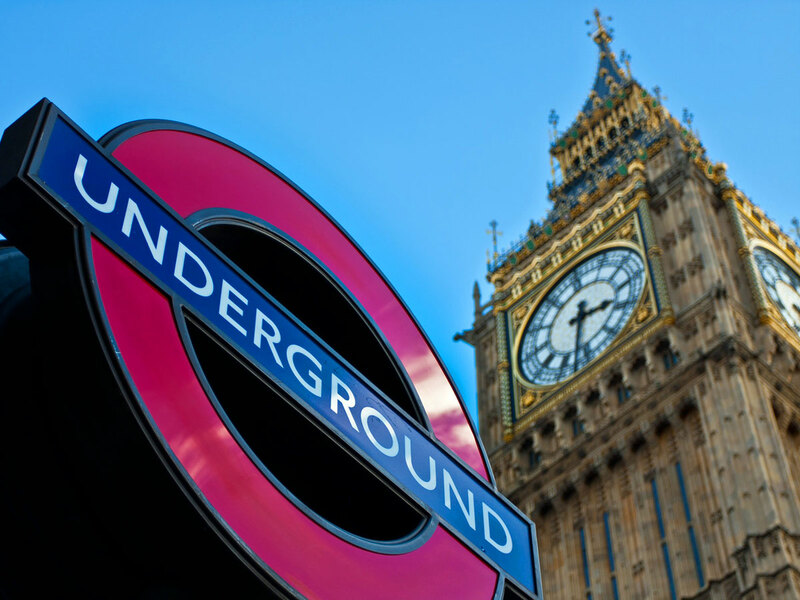 The London Underground is the oldest underground railway network in the world. Average summertime day temperatures range between 22°C and 26°C. Although uncommon, temperatures as high as 38°C have been recorded London has a temperate oceanic climate, similar to all of southern Britain. Despite its reputation as being a rainy city, London receives less precipitation (601 mm (24 in) in a year), than Rome, Bordeaux, Toulouse, Naples and even Sydney in Australia. Temperature extremes for all sites in the London area range from 38.1 °C (100.6 °F) at Kew during August 2003 down to −16.1 °C (3.0 °F) at Northolt during January 1962. Summers are generally warm and sometimes hot, London's average July high is 24 °C (75.2 °F). On average London will see 31 days above 25 °C (77.0 °F) each year, and 4.2 days above 30.0 °C (86.0 °F) every year. During the 2003 European heat wave there were 14 consecutive days above 30 °C (86.0 °F) and 2 consecutive days where temperatures reached 38 °C (100.4 °F), leading to hundreds of heat related deaths. The administration of London is formed of two tiers: a citywide, strategic tier and a local tier. Citywide administration is coordinated by the Greater London Authority (GLA), while local administration is carried out by 33 smaller authorities. 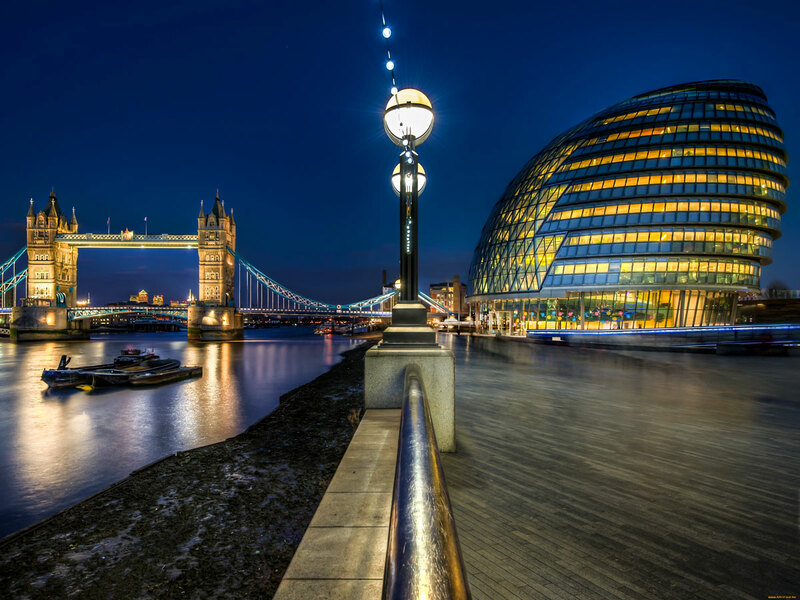 The GLA consists of two elected components: the Mayor of London, who has executive powers, and the London Assembly, which scrutinises the mayor's decisions and can accept or reject the mayor's budget proposals each year. 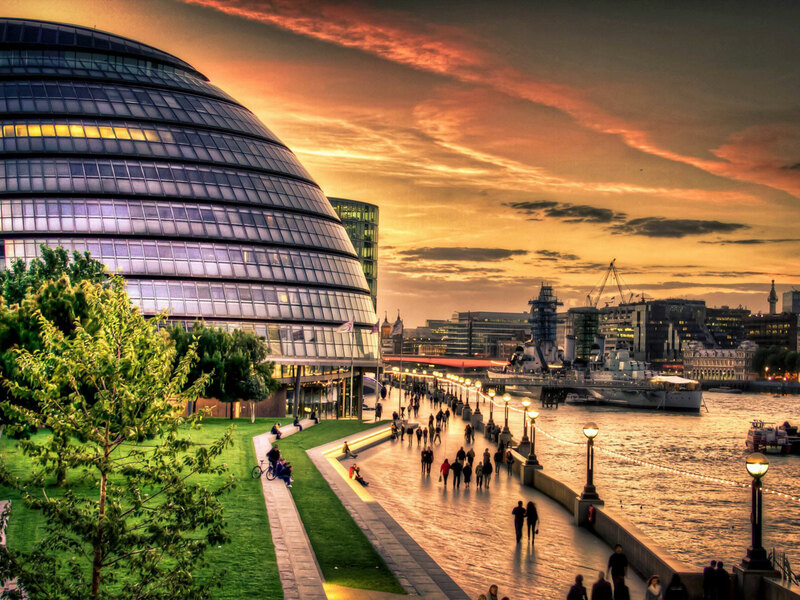 The headquarters of the GLA is City Hall, Southwark; the mayor is Sadiq Khan, the first Muslim mayor of a major Western capital. The mayor's statutory planning strategy is published as the London Plan, which was most recently revised in 2011. 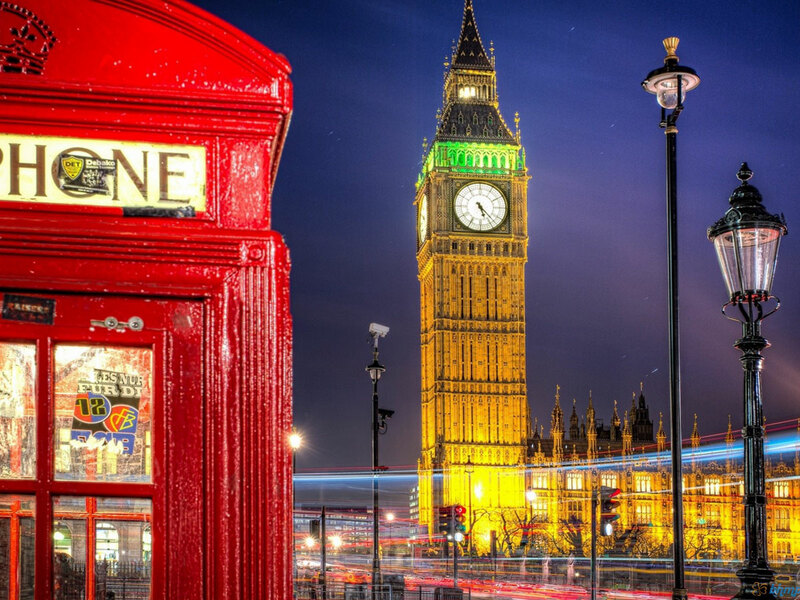 London is the seat of the Government of the United Kingdom. Many government departments, as well as the Prime Minister's residence at 10 Downing Street, are based close to the Palace of Westminster, particularly along Whitehall. The British Parliament is often referred to as the "Mother of Parliaments" (although this sobriquet was first applied to England itself by John Bright) because it has been the model for most other parliamentary systems. There are 73 Members of Parliament (MPs) from London, elected from local parliamentary constituencies in the national Parliament. London generates about 20 per cent of the UK's GDP (or $446 billion in 2005); while the economy of the London metropolitan area—the largest in Europe—generates about 30 per cent of the UK's GDP (or an estimated $669 billion in 2005). 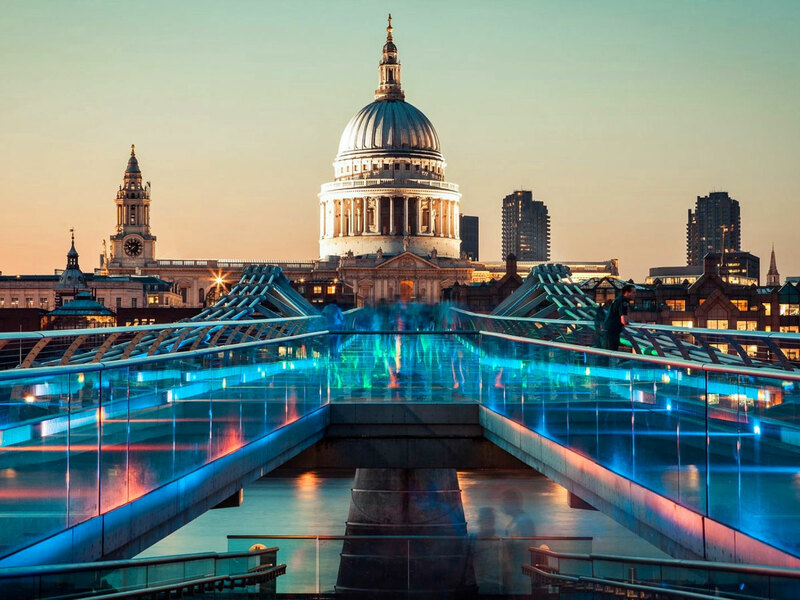 London is one of the pre-eminent financial centres of the world and vies with New York City as the most important location for international finance. and its financial exports make it a large contributor to the UK's balance of payments. Around 325,000 people were employed in financial services in London until mid-2007. 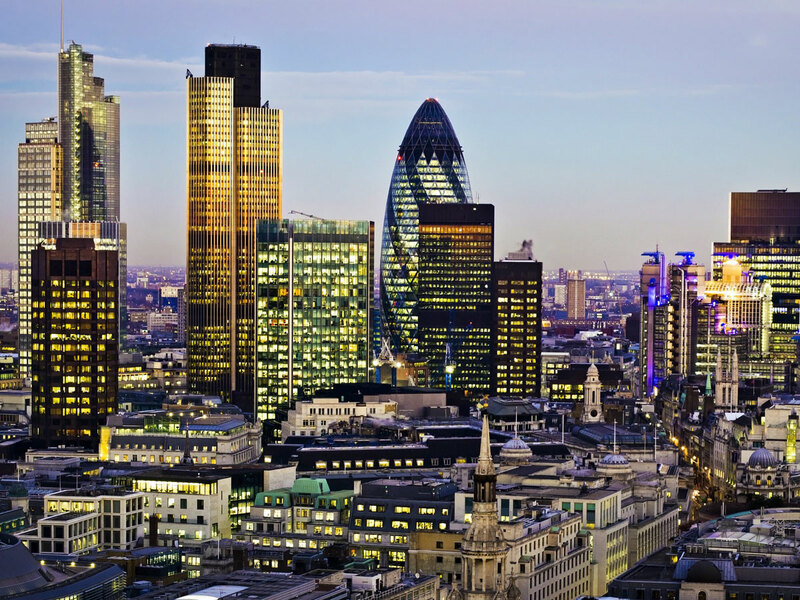 London has over 480 overseas banks, more than any other city in the world. Over 85 percent (3.2 million) of the employed population of greater London works in the services industries. Because of its prominent global role, London's economy had been affected by the Late-2000s financial crisis. 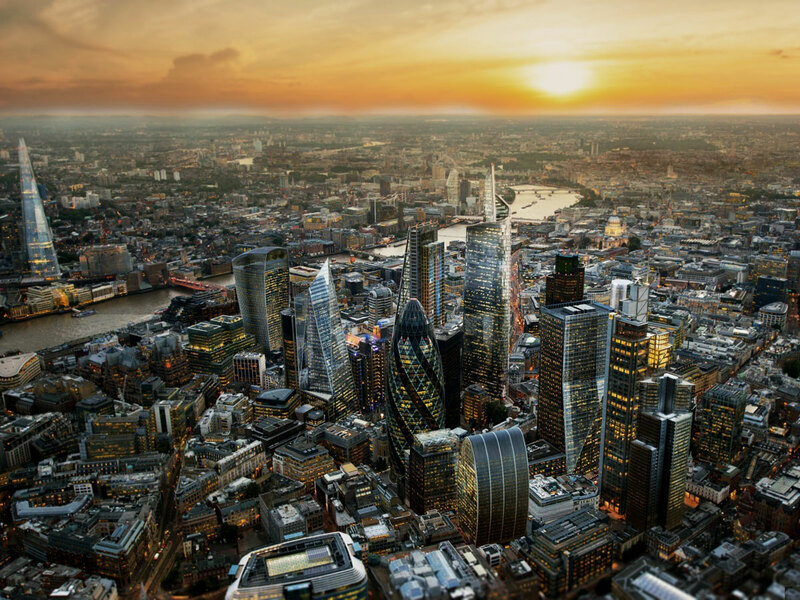 However, by 2010 the City has recovered; put in place new regulatory powers, proceeded to regain lost ground and re-established London's economic parity with New York. The City of London is home to the Bank of England, London Stock Exchange, and Lloyd's of London insurance market. 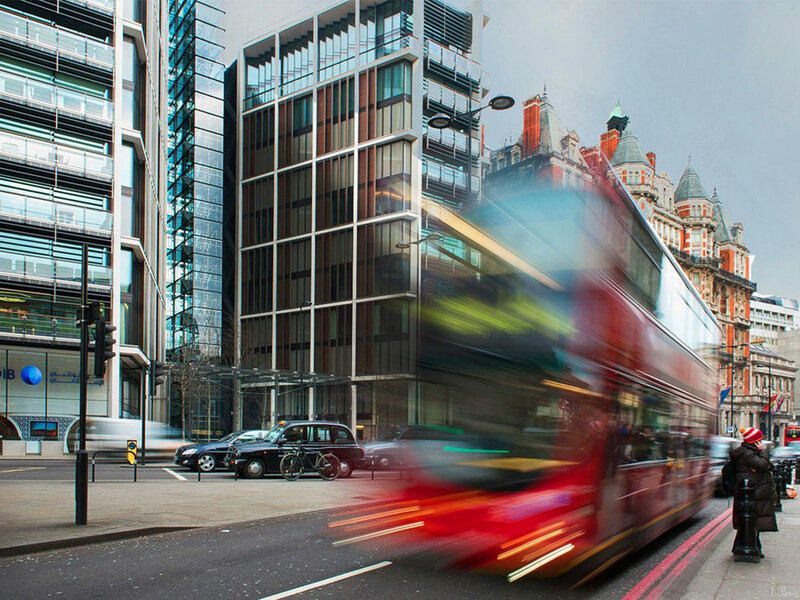 Along with professional services, media companies are concentrated in London and the media distribution industry is London's second most competitive sector. The BBC is a significant employer, while other broadcasters also have headquarters around the City. Many national newspapers are edited in London. London is a major retail centre and in 2010 had the highest non-food retail sales of any city in the world, with a total spend of around £64.2 billion. The Port of London is the second-largest in the United Kingdom, handling 45 million tonnes of cargo each year. One way to get an idea of their relative importance is to look at relative amounts of office space: Greater London had 27 million m2 of office space in 2001, and the City contains the most space, with 8 million m2 of office space. 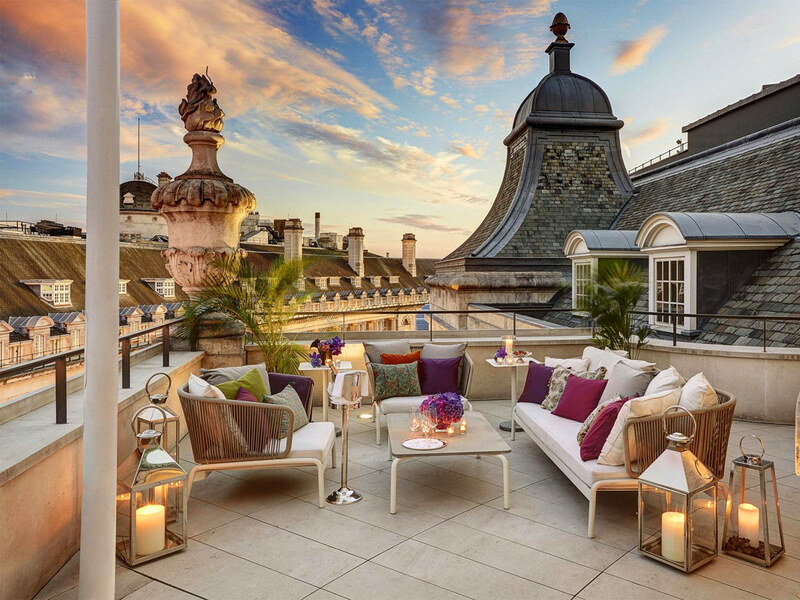 London has some of the highest real estate prices in the world. A growing number of technology companies are based in London notably in East London Tech City, also known as Silicon Roundabout. In April 2014, the city was among the first to receive a geoTLD. 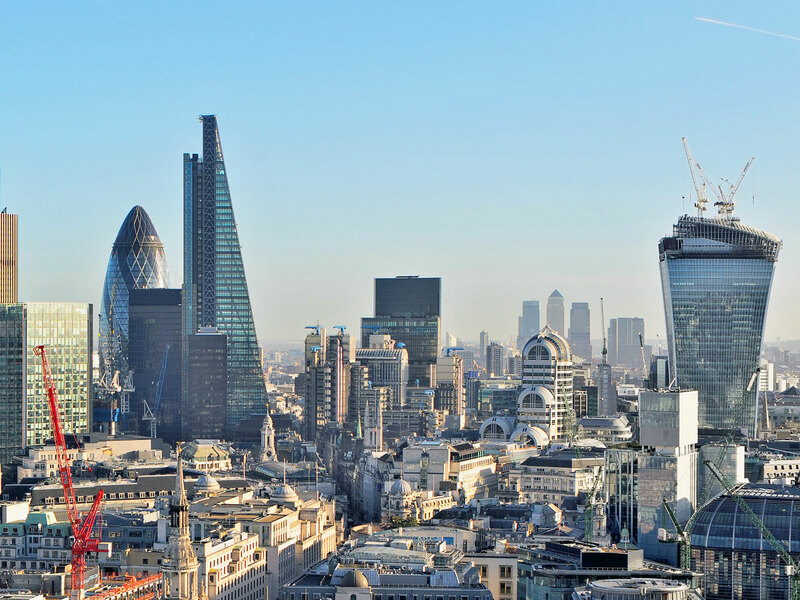 In February 2014 London was ranked as the European City of the Future in the 2014/15 list by FDi Magazine. according to the Office for National Statistics and the European Office of Statistics. On average the price per square metre in central London is €24,252 (April 2014). This is higher than the property prices in other G8 European capital cities; Berlin €3,306, Rome €6,188 and Paris €11,229. Many grand houses and public buildings, such as the National Gallery, are constructed from Portland stone. Some areas of the city, particularly those just west of the centre, are characterised by white stucco or whitewashed buildings. Few structures in central London pre-date the Great Fire of 1666, these being a few trace Roman remains, the Tower of London and a few scattered Tudor survivors in the City. Further out is, for example, the Tudor period Hampton Court Palace, England's oldest surviving Tudor palace, built by Cardinal Thomas Wolsey c. 1515. Wren's late 17th-century churches and the financial institutions of the 18th and 19th centuries such as the Royal Exchange and the Bank of England, to the early 20th century Old Bailey and the 1960s Barbican Estate form part of the varied architectural heritage. In the dense areas, most of the concentration is via medium- and high-rise buildings. 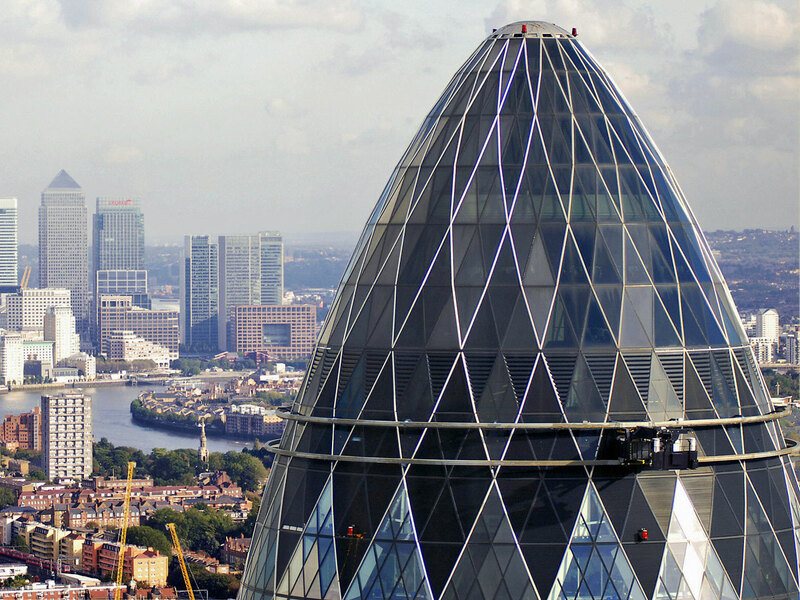 London's skyscrapers such as 30 St Mary Axe, Tower 42, the Broadgate Tower and One Canada Square are mostly in the two financial districts, the City of London and Canary Wharf. 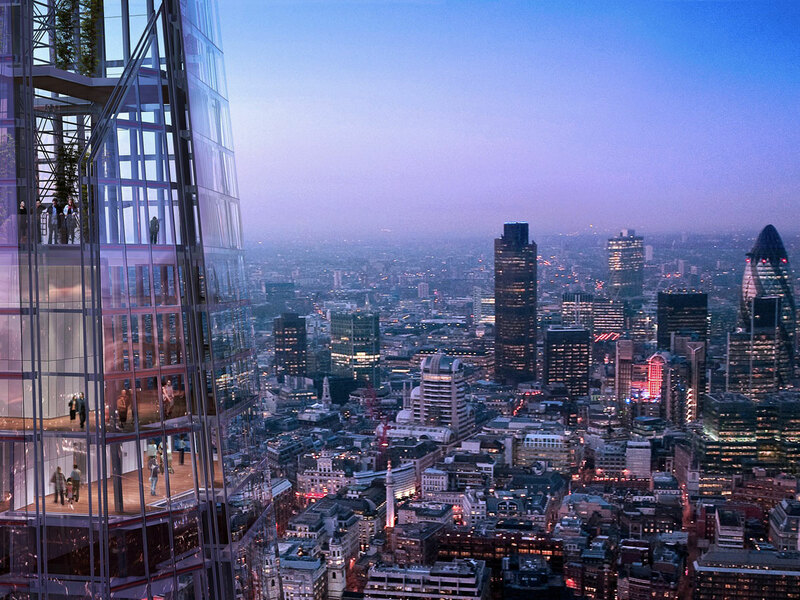 High-rise development is restricted at certain sites if it would obstruct protected views of St Paul's Cathedral and other historic buildings. Nevertheless, there are a number of very tall skyscrapers in central London (see Tall buildings in London), including the 72-storey Shard London Bridge, the tallest building in the European Union. Other notable modern buildings include City Hall in Southwark with its distinctive oval shape, and the British Library in Somers Town/ Kings Cross. What was formerly the Millennium Dome, by the Thames to the east of Canary Wharf, is now an entertainment venue called The O2 Arena. In political or administrative usage (and other than the City and the London boroughs themselves) contemporary areas of London are informal, often being based on or adapted from historic parish or borough boundaries abolished by 1965. In ecclesiastical usage, many of the districts exist as parishes either for the established Church of England or other religious bodies. For electoral purposes all boroughs are divided into wards which may share the names of London districts while rarely sharing any accepted boundaries of those places. London postcode districts often have an influence over where a place is considered to be although they were not designed for that purpose. In United Kingdom town planning, the green belt is a policy for controlling urban growth. The idea is for a ring of countryside where urbanisation will be resisted for the foreseeable future, maintaining an area where agriculture, forestry and outdoor leisure can be expected to prevail. The fundamental aim of green belt policy is to prevent urban sprawl by keeping land permanently open, and consequently the most important attribute of green belts is their openness. The Metropolitan Green Belt around London was first proposed by the Greater London Regional Planning Committee in 1935. The Town and Country Planning Act 1947 then allowed local authorities to include green belt proposals in their development plans. In 1955, Minister of Housing Duncan Sandys encouraged local authorities around the country to consider protecting land around their towns and cities by the formal designation of clearly defined green belts. Transport is one of the four main areas of policy administered by the Mayor of London, however the mayor's financial control does not extend to the longer distance rail network that enters London. In 2007 he assumed responsibility for some local lines, which now form the London Overground network, adding to the existing responsibility for the London Underground, trams and buses. The public transport network is administered by Transport for London (TfL) and is one of the most extensive in the world. Over three million journeys are made every day on the Underground network, over 1 billion each year. An investment programme is attempting to reduce congestion and improve reliability, including £6.5 billion (€7.7 billion) spent before the 2012 Summer Olympics. The Docklands Light Railway (DLR), which opened in 1987, is a second, more local metro system using smaller and lighter tram-type vehicles that serve Docklands and Greenwich. London River Services is a division of Transport for London, which manages passenger transport on the River Thames in London, UK. The River Thames is generally no more than 300m wide as it runs through central London, and is easily crossed by bridge or tunnel. River boat services in London therefore mostly travel east or west along the Thames rather than across it, and the only major cross-river ferry services are to be found further downstream where the river is wider.